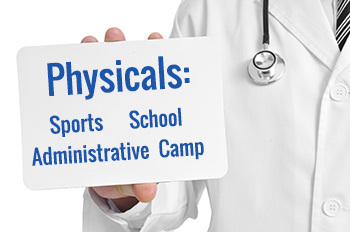 School Physicals & Sports Physicals in Lutz, Florida. Your Family Walk-In Clinic in Lutz, Florida is open 7 days a week to provide you and your family the medical services you need at any time. Whichever type of pf physical you or a family member require, we can accommodate you on a walk-in basis or you may click the link above to schedule an appointment time that is convenient for you. Every year, children ranging from elementary to high school require a school physical and possible immunizations. If you can’t get get in to see your child’s doctor, Your Family Walk-in Clinic offers school physicals on an appointment or walk-in basis 7 days a week. We’re open evenings and on weekends to accommodate your busy work schedule. We also administer school required immunizations. We have and will complete Florida’s standardized School Entry Exam form (DH 3040) onsite for your convenience. 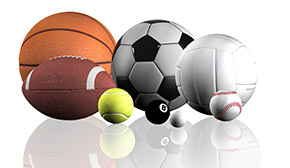 Florida High School Athletic Association requires all high school student athletes participating in high school sporting activities to complete a physical evaluation before their activities begin. Your Family Walk-in Clinic offers school physicals on an appointment or walk-in basis 7 days a week. Give us a call or just walk-in so we can examine your athlete! We have and complete FHSAA Participation Physical Evaluation forms (EL2 forms) onsite for your convenience.